Best of MMA in 2011 | MMA Fighting Events Videos Techniques UFC Fight Picks and News. 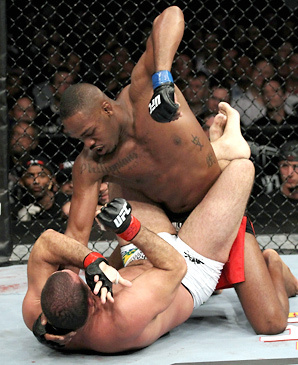 Jon "Bones" Jones - Is there any question that "Bones" had the best year of any MMA fighter. In fact, he had one of the greatest years for any MMA fighter ever. In 2011, Jones had wins over a undefeated Ryan Bader, #1 ranked Mauricio "Shogun" Rua, and top contenders Quinton "Rampage" Jackson and Lyoto "The Dragon" Machida. Dan "Hendo" Henderson vs Mauricio "Shogun" Rua - This is another no-brainer. "Shogun" and "Hendo" put a beating on each other with Henderson coming out on top. This fight went five rounds without a dull moment. Each fighter dished out and took some serious chingasos. Cheick Kongo over Pat "HD" Barry - Kongo was on the canvas within seconds of this bout between two of the elite strikers in MMA. But, the will of Kongo brought him back and he KO'd the K-1 level striker in Barry. Daniel Cormier and Donald "Cowboy" Cerrone - There is a tie in this one between Cormier and Cerrone. Both of these men had an impressive breakout year in 2011. Cormier went 3-0 in 2011. He had wins over Devin Cole and UFC veteran Jeff Monson. He earned himself a spot in the Strikeforce Grand Prix finals with a brutal beating of Antonio "Big Foot" Silva. Cerrone was 4-0 in 2011 in the stacked UFC lightweight division and is looking for win number 5 when he faces Nate Diaz at year's end. UFC 139 - Why not? Take a look at what UFC 139 gave us. In that card there was "Fight of the Year", Hendo vs Shogun, Wanderlei "The Axe Murderer" Silva's come from behind win over Cung Le, a slick Urijah "The California Kid" Faber guillotine, and a pair of knockouts. Alistair "Demolition Man" Overeem - His only fight in 2011 was a win over Fabricio "Vai Cavalo" Werdum, and he made Werdum's stand-up look good. Before Werdum, he didn't fight anyone good since his Pride days. His K-1 title is a fluke, with a win over a no one in Ben Edwards and injured fighters the rest of the way. Oh yeah, he did beat Todd Duffee (who?) for his Dream title. Black House/Jackson's MMA - We have another tie in this category. Look at their champions. 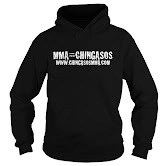 Black House has featherweight champion Jose "Scarface" Aldo and heavyweight king Junior "Cigano" Dos Santos. Greg Jackson's camp includes welterweight champ Georges "Rush" St. Pierre (GSP), Carlos "The Natural Born Killer" Condit, and light heavyweight kingpin Jon "Bones" Jones. I won't leave you with just the best of 2011. Here's a little preview of what to expect for 2012. Carlos Condit at welterweight and Donald Cerrone at light weight - Condit should take care of business against Nick Diaz for the interim welterweight title, as he is a better all around fighter. He will then test GSP's chin like Matt Serra did. As for Cerrone, a win over Nate Diaz should earn him a fight against the winner of Edgar/Henderson fight. Daniel Cormier - He dominated Antonio "Big Foot" Silva, the man who took Fedor out. In 2012 he will look to take out Josh Barnett in the Strikeforce heavyweight Grand Prix finals, and then he is likely take on the UFC heavyweight champ.